What’s the best way to create a sustainable future in a changing climate — through government regulation, or through changing people’s habits and attitudes? As we face the consequences of a changing climate, many people wonder how we can most effectively change the consumptive habits of U.S. citizens. The government has the ability to implement taxes and regulations that put restrictions on carbon emissions, and to provide subsidies to companies in order to make environmentally friendly options cheaper and more lucrative. However, with a gridlocked Congress and slow administrative progress, is it more effective to change people’s behavior and attitudes or affect change through government action? Some say yes. For example, in Japan, social habits have a large impact on resource use and waste produced. According to the World Bank, Japan emits 9.2 metric tons of carbon dioxide per capita (compared to the United States’ nearly 17.6). With comparable economies, what difference could produce such skewed results? In addition to the small footprint and corresponding energy efficiency of many Japanese homes, some believe that the cooperation, investment and attitude of the people of Japan goes a long way towards explaining the difference. The culture of Japan values land very highly, and limits landfill. According to Jacquie Ottman, the founder of People Towels, she found no paper towel dispensers or electric hand dryers during her travels in Japan — each person carried their own hand towel. Contrast this with the United States, where we value convenience (and have lots of room for landfill!). A study completed by students at the Rochester Institute of Technology found that by switching to electric hand dryers on a college campus, carbon emissions from hand drying could be reduced by 75% compared to paper towel use. But, when participants were asked which they preferred, 64.6% said paper towels. Informational campaigns have been shown to have little effect on consumer preferences and behavior, so encouraging environmentally habits is more than quoting statistics. With this in mind, climate change activists and advocates are looking to the social sciences to understand what will motivate behavior change for consumers and communities, and whether it’s a better route than government mandates. What do you think? Are top-down regulations the best way to reduce greenhouse gas emissions or should we focus our efforts on changing social habits and attitudes? How would you suggest trying trying to change people’s behavior? This round-up from a conference in the UK shares information from experts in the field of climate change response and sustainable development. Switching this small island entirely to renewable energy was a question of convincing the locals. How did they do it? Policymakers use research about how people make decisions in order to change behavior. KQED Education partners with phenomenal organizations to bring you the Science Do Now activities. The Science Do Now is posted every two weeks on Tuesday. This post was contributed by youth volunteers and interns in the Galaxy Explorers program at Chabot Space & Science Center. Explorers share science through live public demonstrations, hands-on activities, and outreach events in their schools and communities. Open to all Bay Area teens, the program focuses on providing support and opportunities in the sciences to Oakland youth historically underrepresented in STEM careers. Chabot’s mission is to inspire and educate visitors about Planet Earth and the Universe through exhibits, telescope viewing, planetarium shows, interactive programs, and engaging experiences to connect visitors with the earth and environment, astronomy and space travel. Chabot’s education programs promote STEM literacy skills needed for a 21st-century society and workforce. I think the best way to a sustainable future is changing the attitudes and thoughts of the people. it’s going to take a lot of time and effort to get companies and organizations to practice environmentally safe ways to do things because usually to be environmentally safe would cost a company more money and they don’t want to lose on profit just to safely dumb chemicals; so they dump it in the river. I think the most effective and quickest way to change the path we are on is to change US first. We need to care more about the environment and practice being environmentally safe in our homes first. Also, being conscious of the state of the environment and what contributes to it is essential to helping stop it because even though we know about global warming, people don’t really know all the environmental problems that are going on and how they could possibly be helping it. I believe that the best way to ensure a sustainable future is convince the people of the problem. Currently most of society does not realize the impact of our pollution and how it can potentially devastate the environment. Once everyone finally realizes the extent of pollution and realize how their negligence can harm the environment. When everyone is knowledgable of the situation they will change their habits and slowly start to become more environmentally stable. Knowledge is the best weapon against pollution. People are not willing to contribute to a problem if they do not believe it exists. Educating the public will cause people to take action and overtime the world will become more eco friendly. Cummins, Jaz. “Ten things we learnt about behavior changes and sustainability.” The Guardian. Unilever, 9 Apr. 2014. Web. 20 Mar. 2015. . The best way to create a sustainable future is through changing people’s habits and behaviors rather than government regulation. Government regulation can be a great way to solve issues but the long process of getting such laws passed can be inconvenient and some laws may end up not being approved at all. It would be much more effective to change the behavior patterns of humans. This, however, proves to be a daunting task. The behavioral pattern of humans is based off of instinct in some situations and is not something that can be altered easily. In “Three Myths of Behavior Change, Jeni Cross talks about what motivates people to take action and help the environment. The evidence shows that making environmental change a social norm is the biggest motivator (1). For example, if a person see their neighbor recycling, they are more likely to recycle themselves. Another interesting and effective way to change the behaviors of humans is to offer incentives. In “Using Psychology To Save You From Yourself”, Alix Spiegel discusses behavior economics and situations where incentives have worked for the better. In Greensboro N.C., teenage girls were paid one dollar a day for every day they were not pregnant. This drove the teen pregnancy rate way down (2). I believe that in order to lessen or eradicate climate change in the future that the behaviors of people must change and some interesting and effective ways to go about doing this are offering incentives of some sort or making it popular. 1. Cross, Jeni. “Three Myths of Behavior Change – What You Think You Know That You Don’t: Jeni Cross at TEDxCSU.” Youtube. N.p., n.d. Web. 20 Mar. 2015. 2. Spiegel, Alix. “Using Psychology To Save You From Yourself.” NPR. NPR, n.d. Web. 20 Mar. 2015. I completely agree that changing habits is better than government regulation! I would even add to your argument, that government regulation is a tedious process and might even not get approved, by saying that too much government will become and inconvenience for people who don’t have the time or resources to properly dispose of the materials. Regulations might force them into a bad situation and cause them to even dispose of their waste in a more harmful way, like littering instead of a landfill, because they are trying to avoid the consequences set by the government. I think the government should be involved in the promotion of better habits in order to change the social norms but not to force change. Stimulation of change by the government is most effective. Your solutions to popularizing environmental actions are interesting and have possibility to work as well! Stern, Paul C. “Toward a Coherent Theory of Environmentally Significant Behavior.” Journal of Social Issues 2000th ser. 56.3 (n.d.): 407-24. Stanford.edu. National Academy Press, 2000. Web. 21 Mar. 2015. The best way to create a sustainable future is targeting the problem’s source and developing plans to fix it. We need to change the habits, attitudes, and ideas of people in order to create an sustainable futures for people. Government regulation might work on countries that is not democratic, where the government has the total authority over the people, and they can force on people, but the best way to change the future is everybody doing it together with a enthusiastic mind and heart. We can do that by appealing to people’s social norms, as Jeni Cross mentioned, social norms affects people in ways people doesn’t really understand. When people saw people doing something, they wanted to do in it too, like that example my teacher told before, the teacher asks a class of young kids which line is longer, the 10 inch one or the 5 inch one, most kids pick the 5 inch one, why because other people pick it. We can use this social norm to get people active in help creating a sustainable future. Look at Japan, they are first world country like us, and their environment is better, why? People in Japan cares about their environment, so why are we not caring our environment? Are we going to do something about it or left it only and regretting later on? Cross, Jeni. “Three Myths of Behavior Change – What You Think You Know That You Don’t: Jeni Cross at TEDxCSU.” Youtube. N.p., n.d. Web. 20 Mar. 2015. Although I do not agree with your stance on Cross’ methods, I do like how you brought in the idea that government regulation can not change peoples attitudes in the long run. It brought up the interesting point that you can not force change, and if you do, it does not change attitude. That helps prove my argument against Cross’ ideas and brings up a scenario I have never thought of before. In my argument I suggest how we need to be the ones that change attitude, therefore change behavior. #BELEADERS helps my argument in suggesting that not everyone follows the social norm, some people enforce it. “Encouraging Behaviour Change.” Encouraging Behaviour Change. N.p., n.d. Web. 24 Mar. 2015. I completely agree. Government regulation will not be effective in democratic systems and therefore it is up to individuals to enact change. Changing people’s behaviors and attitudes will be more effective in creating a sustainable future. We can show them the facts about how much our planet has been damaged, raise their awareness of the situation. We can try hit people’s soft spot by showing them how bad the earth has become, how people are suffering because of that. We can also use social norm, like show people this much people has participated or this much people has changed their behaviors and attitude. I think in order to practice, insure, a more sustainable future, would be pressing persuasion. Maybe incentives? In order to get people to do something for good, reward usually follows. Also showing people that in order to create a sustainable future it takes unity, worldwide we all have to do better, to lower emissions. Inspiration, showing that one change, can make a BIG change. Changing individuals habits, is a great big step. Enforcement with the government, and increasing tax implementations, will only cause rebellion, but maybe not in all. Although the government could take some sort of place in involvement, to help speed up the process, just not being forceful. Such as using social norms, as Jeni Cross stated, in her video about ‘’Myth links and behavior change’’. Within the video she gets to the root of how social norms can be of help, but not the solvent. Inspiration, will be key in making change. Truly how do you influence, and inspire a union to change? I totally agree with your statement to finding a path to a sustainable future. Lots of people love getting something back in return and I think getting a reward, prize or even a bonus will catch someone’s attention or maybe everyone’s attention. What you said is true, if the government is involved, there will be problems. Changing everyone’s habit won’t happen right away, it takes time, a chance for everyone to work together and lots of encouragement to persuade others to follow and be a great part of a being a sustainable future. “How to Help Other People Change.” PsyBlog RSS. N.p., 13 May 2013. Web. 08 Apr. 2015. I think that what we should do is focus on changing our attitudes and the social norms of society. We can’t start making an actual difference until we want to make a difference. People in today’s society don’t do things they don’t care about and if our society doesn’t care about changing and improving the environment it will never be done. Sure there are some people who do care, but in order to get the results we need more people need to want to help. In order to get people to care enough to change we have to show them that other people are changing things too. People are more likely to do something if everyone is doing it too¹. It’s sort of like when the whole wearing leggings as pants thing started. In the beginning no one even understood why people would do that and now it’s hard to find a girl who hasn’t worn leggings as pants. The biggest hump we have to face is the problem that no one wants to be the person who starts the trend, the first person to wear leggings as pants, if you will. Once we get the ball rolling and make it a social norm to save the planet, everyone else will just fall in line. The question is, how do we make saving the environment a trend that people will want to join? 1. ”Ten Things We Learnt about Behaviour Change and Sustainability.” The Guardian. N.p., n.d. Web. 20 Mar. 2015. Good points. I think social norms are more important than you seem to think though. People are very influenced by what they see others doing. It is proven by social psychologists that people conform to what they see other people doing because they don’t want to look like “outcasts” that are making the environmental problems, such as with recycling. I fully agree with you in saying citizens need to work to change attitudes and to use sustainable practices because its all about our actions. Teaching people about how they are harming the environment doesn’t help anything to sustain our future because it isn’t physically doing anything. It’s all about what we do. Government programs really could help with this! 1. “Recycling and Social Norms.” – Applied Social Psychology (ASP). N.p., n.d. Web. 26 Mar. 2015. .
Ok. I agree that government programs could help to create a sustainable future but I still stand by my original thoughts on social norms. They are important, but not the answer to everything. Today we are taught to be difference and be the change, to instigate a movement not conform to the policies of everyone else. I wasn’t saying the people who are creating the problem shouldn’t conform to change but those who aren’t taking actions conform to change. Those who aren’t doing anything need to step up, even if nobody else is. I agree that people don’t want to be outcasts and seen as the problem but right now there are more people who are the problem than those who are stepping up. Therefore conformity would be to do nothing and to be different would be to take action. Also, I think that teaching people about how they are harming the environment does help because if you are able to make the situation real to them it can cause them to be afraid of the future and more aware of their impacts. Fear is a forceful emotion that will help motivate people toward action. I think education is more important than you think. It may not be as important as a complete movement of everyone taking action but it is important to inspire individuals to take action. I think changing the human populations perspectives on habits that can help the environment is the best route for creating a sustainable future. I think that if the government was to get too involved in applying changes people might not react well and possibly rebel or ignore the changes being made to their lives. To move toward a more sustainable future we must change the habits of the people. In Jeni Cross’ Ted Talk it was made very clear that social norms are good at making a change but they are not successful in sustaining a change. Paul C. Sterns article, what actions are needed to be taken in order to develop tactics for the future in order to prevent over pollution. It also bring lights to the behaviors which could be useful when deciding which tactics would be most effective. People need to work towards changing each others perspectives towards environmentally friendly tactics, as well as the government needs to be involved in encouraging environmentally friendly tactics as well. Journal Of Social Issues, Vol. 56, No. 3, 2000, Pp. 407–4. Journal of Social Issues, Vol. 56, No. 3, 2000, Pp. 407–424 Toward a Coherent Theory of Environmentally Significant Behavior (n.d.): n. pag. Web. “Three Myths of Behavior Change – What You Think You Know That You Don’t: Jeni Cross at TEDxCSU.” YouTube. YouTube, n.d. Web. 22 Mar. 2015. The best way to motivate behavior change for consumers and communities is through changing social behaviors, habits, and attitudes. The video attached to this article has proven that people change their habits the quickest when they see others doing the same. By human nature we are followers, humans like to all be the same, so that they won’t be considered “weird.” The best possible way to change human behavior would be to set examples of what you want to occur with popular figures in the public eye. Once humans see others setting an example they are likely to imitate similar behaviors. What humans say they want to do and what they actually do are often two different things. Just because someone says that they would like to live a more sustainable lifestyle does not mean that they are going to take the proper steps and measures to do so. It is often not until something becomes a social norm that we begin to partake in it. Chabot Space & Science Center. “What’s the Best Path to a Sustainable Future?” KQED Education. N.p., 17 Mar. 2015. Web. 22 Mar. 2015. .
Cummins, Jaz. “Ten Things We Learnt about Behaviour Change and Sustainability.” KQED Eucation. N.p., 4 Apr. 2104. Web. 22 Mar. 2015. . The best way to motivate behavior change for consumers and communities is through changing social behaviors, habits, and attitudes. The video attached to this article has proven that people change their habits the quickest when they see others doing the same. By human nature we are followers, humans like to all be the same, so that they won’t be considered “weird.” The best possible way to change human behavior would be to set examples of what you want to occur with popular figures in the public eye. Once humans see others setting an example they are likely to imitate similar behaviors. What humans say they want to do and what they actually do are often two different things. Just because someone says that they would like to live a more sustainable lifestyle does not mean that they are going to take the proper steps and measures to do so. It is often not until something becomes a social norm that we begin to partake in it. The real question, however, is how long will it take humans to change their habits and behaviors? The best path to a sustainable future is by changing people’s habits and attitudes. Habits and attitudes are taught by the people around them. Humans by nature are going to go with the crowd and do what the crowd is doing. As the video from the article showed the best method of changing habits and attitudes is by other people doing the same thing. A street musician will earn more money if they have a friend drop money in every so often because others will see them drop the money in and do the same thing. By showing someone that something else is doing it also they will follow. One of the biggest things as a human is peer pressure, they see something that a friend is doing and they think that they should be doing it too, whether it is a good or bad thing. To change our habits and attitudes, how do we make sure more people see the right thing to do? “TeensHealth.” Peer Pressure. N.p., n.d. Web. 22 Mar. 2015. . I agree with you. If order to create a more sustainable future and change others habits, examples must be created for others to follow. The example about the musician is a very good example; when someone sees another person do something they are more likely to follow. Posters with famous and recognizable people are also another way to get others involved and change their habits. I read yours also I agree that the best way is to change our attitudes and thoughts on the future and our impact for the future. The best route to a sustainable future is through government regulations. These regulations will provide a quick and easy fix to many environmental issues. These regulations could also encourage the changing of attitudes and could revert the social norm to being eco-friendly. In our current society, changing the mindset of consumers is a task as most simply do not care for what is happening behind closed doors. Even informational campaigns show to have little effect on the mindset of consumers. Peer pressure could cause the changing of behaviors, however the change needs to happen first. This would be a difficult task and some may even think impossible in America’s society. Government regulations will simply go beyond the closed doors and establish set regulations companies have to abide by which will greatly reduce America’s waste production rates. The government needs to step up and do what their task is: to run and protect this country no matter what the situation is. Quite frankly, the majority of America does not have the mindset of becoming eco-friendly. They are just plain lazy. If informational commercials and advertisements are working, then why is the mindset of an average consumer still the same? To create a sustainable future, what regulations does our government have to create to make consumers care? “The Role of Government Regulation and Leadership in Increasing Sustainability.” PA TIMES Online. N.p., 17 June 2013. Web. 22 Mar. 2015. . The best route to a sustainable future is by slowly switching to more renewable resources. Natural resources will be used up if we aren’t careful which will cause a massive price increase when reserves are low. When the prices go up, people will freak out, and start considering other options such as renewable resources. To prevent a major “freak out,” we should slowly start moving more towards renewable resources. The government could make tax reductions for people that use cars that run on renewable resources, or having solar panels installed at your home. There are many ways to help with the problem of making a sustainable future. But what we really need to focus on, is getting there. “Renewable.” energy KIDS. Web. 22 Mar. 2015. . I believe that in order to create and ensure a sustainable future, people’s behavior and attitudes must be changed. The video linked below supports that people aren’t motivated by statistics of an endangered environment; they are motivated by what other people are doing. Social norms dictate what is important to people. If ‘everyone’ seems to care about the environment, it makes caring about the environment more appealing thus more people take measures to reduce their environmental footprint. However, someone has to start the social momentum; or something. That something might have to be government regulations, taxes, and/or subsidies. Although the government works slowly, it may be quicker than relying on social norms alone. The government has to create regulations to make people start to care. How far does the government have to go with regulations before social norms can start to take over? Three Myths of Behavior ChangeWhat You Think You Know That You Don’t. Dir. Jeni Cross . 20 Mar. 2013. TEDTalks. Web. 20 Mar. 2015. .
After watching the video I found it very interesting how people are effected and influenced. I wouldn’t have thought that what most people think influences them is actually the exact opposite of the truth. I think that using these psychological principals to convince the population to care about the environment will be more effective than some of the solutions we have been using. For example instead of signs and ads information about pollution and littering and their negative effect on the environment, we should start trying to make things like recycling and being environmentally friendly “cool”. Social norms being the most effective in changing people means that if some people initially start to change and “lead by example” others will start to follow1. Does anyone else have any ideas about where else that social influence can be used to help the environment? 1.) The psychology of attitude change and social influence. McGraw-Hill series in social psychology. Zimbardo, Philip G.; Leippe, Michael R.
New York, NY, England: Mcgraw-Hill Book Company. (1991). xix 370 pp. I thought that this video was very interesting not only because it focused on the environmental aspect of achieving a way that most people would jump on board a path to sustaining our future, but also that it used psychological patterns to prove it. The human brain works in mysterious ways and usually the way we process things is automatic, and we don’t really have control over it. People also seem to think similarly to each other which I suppose makes it a lot easier to focus on what attracts people’s attention. Targeting our brains and doing to research to see what motivates us as humans I think is a genius idea and a promising step towards establishing a society that cares about the environment and cares about making a difference, instead of the information being automatically tossed into short term memory to be forgotten within a matter of minutes. It is true that people’s attitudes have to be changed in order to make a difference, so which is the hard part: changing people’s attitudes? Or actually making the difference? Rego…, Marguerite. “Center for Social Innovation.” Getting People to Recycle: Research Interventions That Make a Difference : (CSI). Stanford Graduate School of Business, 13 Apr. 2012. Web. 22 Mar. 2015. . I believe that the video and outside source bring up ideas that are beneficial to the problem presented. It is weird how the human body works to find things that it likes more and doesn’t like just in different ways of presenting the same idea. This is why I believe changing the behavior and minds of people is the best choice for changing our future of sustainability. I believe especially in our culture where we are extremely wasteful and don’t really ever have to feel what its like to fight our the repercussions of our waste. Maybe changes in our behavior will spark our minds and make us think about what were doing when we throw away a plastic water bottle instead of recycling it. If the ideas that were displayed in the articles and videos I personally believe the American public and world will change our ways and in a collaboration begin becoming a sustainable society. Do you believe that the American public can change there mind over this subject due to our extreme wastefulness in the past and present and if so do you think behavioral changes are the way to go? Spiegel, Alix. “Using Psychology To Save You From Yourself.” NPR. NPR, n.d. Web. 20 Mar. 2015. I agree, its cool how the minds of people are influenced. I think your right in saying that social influence will be the most effective way to change peoples habits and help cut down on pollution. The psychology of attitude change and social influence. McGraw-Hill series in social psychology. I completely agree with your theory. I especially agree with the statement that our society we are extremely wasteful. According to an article I read, the United States of America is commonly known as the “throw away society”. I believe if everyone changes their habits it will influence others to jump on the bandwagon and will create a spark. Tulipano, Rachael. “America the Wasteful: A Detailed Look Into Our Throw-Away Society – GenTwenty.” GenTwenty. N.p., 05 Dec. 2013. Web. 31 Mar. 2015. . The best way to create a sustainable future is to change people’s habits and attitudes. In the video, sociologist Jeni Cross, showed us that if you see one person doing something, others will start to join in as well and eventually everyone will end up doing the same thing. So it is basically like a trend to begin with. It is interesting how our minds can see others doing one thing and they’ll just follow it right away. A way that a community could just start with is to begin somewhere small like for example, at a school and start spreading the word out. A club or the school in general can think of a creative bracelet idea or even come up with a nice slogan on a t-shirt and start selling it so it could be spread around the school. If schools can host an event, create bracelets and t-shirts for examples such as “Spread the word, to end the word” or raise money for others who have cancer, then they can definitely spread the idea of sustainability. Soon when students and teachers start wearing them, parents or even co-workers, will start to notice and hopefully it will start to expand from there on. Just because there are advertisements or papers hanging around to tell others to save the environment or to keep it clean, people will read or see it and end up forgetting it in like three seconds. To change that, I think it is best if we could first improve and make the process of reduce, reuse and recycle a bit more appealing and simple. For example, put recycling bins around instead of trash cans in public restrooms and in other necessary places. So how do we make sure that people will actually listen to us about keeping the environment clean? Or how long will it even last? – Cross, Jeni. “Three Myths of Behavior Change – What You Think You Know That You Don’t: Jeni Cross at TEDxCSU.” Youtube. N.p., n.d. Web. 22 Mar. 2015. – “RESEARCH REPORT Overseas Students’ Habits and Attitudes Towards Recycling in Singapore.” RESEARCH REPORT Overseas Students’ Habits and Attitudes Towards Recycling in Singapore. N.p., n.d. Web. 22 Mar. 2015. I agree with your statement. Especially your quote about people following ”lead by example.” Which is very true people see something of help, and follow along. Also love the examples you used to begin with a starting point, in raising awareness in different ways. Most importantly people have to be willing to want the change, for the effort to show. Holmes, Lindsay. “Can You Change Other People?” The Huffington Post. TheHuffingtonPost.com, 19 Jan. 2014. Web. 06 Apr. 2015. I completely agree with your statement. Followership is a default setting in our brain since we were born. The day we were born, we start mimicking our parents facial expressions. So we need to lead by example to make the world sustainable. I love your example about the students in Singapore starting small example that will hopeful spread outside their community. At the end of the day people can change and improve the world, but it is going to take few people to take the bold lead for us to follow them. “Natural Born Followers.” Psychology Today. N.p., n.d. Web. 08 Apr. 2015. I believe that the best path to a sustainable future is changing people’s habitats and attitudes. If one person sees someone picking up trash on the side of the road, it would make them feel bad about littering. It would then cause them not to liter and then maybe they too will start picking up trash on the side of the road. As shown in the video featured in the article, the best method to change habits and attitudes is by following others and following a trend. In our present society, everyone is trying to fit in. If they see someone wearing a specific article of clothing, flip flops for example, they would then go and buy those flip flops to fit in. In order to change other people’s habits and attitudes we have to change our attitudes and habits. So if someone were to change their ways and try to live a more sustainable lifestyle, then maybe their group of friends would jump on the bandwagon, and so on and so forth. The real question is, what is it going to take for us to change our attitudes and behaviors? I too agree Ms. Guzman the only path to a sustainable future is to get everyone involved. Attitudes towards protecting the environment need to be changed and the only way to do this is to change peoples habits. A gateway to changing habits is to change social behaviors. It takes 21 days to form a habit and this can be achieved by changing peoples perception on protecting the environment. Cummins, Jaz. “Ten Things We Learnt about Behaviour Change and Sustainability.” KQED Eucation. N.p., 4 Apr. 2104. Web. 22 Mar. 2015. In order to create a more sustainable future people’s attitudes and habits must change. When these changes government regulations will follow. The people are the ones who control the government so if the environment isn’t a top priority for the people it won’t be for the government officials either. People are very much influenced by what others do so if a movement towards better environment regulations breaks out then more and more people will back it up. Once the media and well known figures start to show interest in something, the people follow. All you need is the right spark and a raging fire can emerge. I believe that the most effective path to a sustainable future is changing people’s habitats and attitudes. Government regulation is also effective because forcing people to do something is usually more effective than simply advising that they do it. This would seem like the easy, fast solution. However, government regulations often take much longer to start than they should, and many people could feel that laws involving creating a sustainable future would be a waste of time and resources. Social norms are a powerful tool, and I think that they can help change people’s attitudes towards the environment and creating a sustainable future. What steps do you think should be taken to create a sustainable future? Cummins, Jaz. 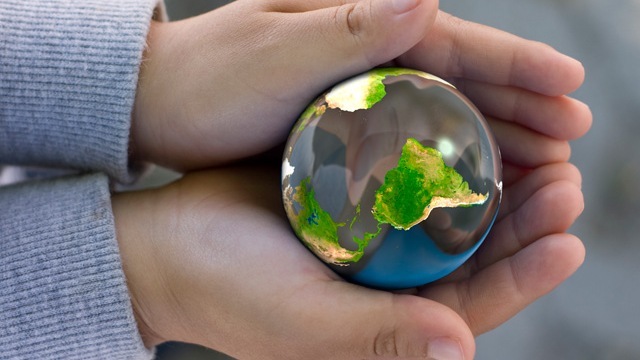 “Ten Things We Learnt about Behaviour Change and Sustainability.” Theguardian. N.p., 13 Jan. 2015. Web. 23 Mar. 2015. . I agree on account of everything you said. Social norms are a good tool, but government regulation is the best path. However, it is slow. There needs to be something done to speed up the government’s response without spending too much money. “Why the Federal Government Should Regulate the Environment.” Policy.Mic. Web. 30 Mar. 2015. . I agree with what you said. In order to change the future we must change peoples habits now towards a more sustainable future. One way that could really help is if the government made good regulations on things, or tax breaks for people/organizations that use sustainably powered things. Amy, Douglas J. “Capitalism Requires Government.” Government is Good. Web. 8 Apr. 2015. . I believe that many things must happen to achieve a sustainable future for our nation. The first step is to motivate the public to help reduce their use, as well as reuse older belongings. However, we can not achieve a sustainable future until the majority of Americans develop the desire to protect and preserve our ecosystems. Finally, to achieve a sustainable future we must improve our world, as we have already done so much to damage it. What do you think we should do to accomplish all of this? Planning for a Sustainable Future: White Paper. London: Stationery Office, 2007. EPA. Web. 23 Mar. 2015. I agree that people’s lifestyles need to change but I do not think they will change on their own. The government needs to step in with regulations to ensure that we have a sustainable future. People’s lifestyles may be changed from this and they will go on to care for the environment. Thus far however advertising and info graphics have proved worthless in making people realize we need sustainability. People don’t worry about it because it probably won’t affect them in their lifetime. “What Will It Take to Change Americans’ Lifestyles?” Opinion:. N.p., n.d. Web. 08 Apr. 2015. . I personally think that the best path to a sustainable future is changing peoples habits and their attitudes on littering. In our society today, we are all followers. Like The Guardian article says, social norms work because they can trigger change. In order to change societies habits, we have to change our habits. We always try to fit in and go along with whats in and whats not. If someone simply puts up an add of how much trash is littered each day or the statistics, no one pays attention. If you put an add up of hundreds of celebrities and athletes who promote saving the environment and cleaning up after themselves, then you are more likely to get a response. Someone will start recycling or throwing away their trash and it will hopefully branch off to their friends and it continue to spread through them. Sustainable Future?” KQED Education. N.p., 17 Mar. 2015. Web. Sustainability.” The Guardian. N.p., 9 Apr. 2014. Web. 20 Mar. 2015. . I personally think that the best path to a sustainable future is changing peoples habits and their attitudes on littering. In our society today, we are all followers. Like The Guardian article says, social norms work because they can trigger change. In order to change societies habits, we have to change our habits. We always try to fit in and go along with whats in and whats not. If someone simply puts up an add of how much trash is littered each day or the statistics, no one pays attention. If you put an add up of hundreds of celebrities and athletes who promote saving the environment and cleaning up after themselves, then you are more likely to get a response. Someone will start recycling or throwing away their trash and it will hopefully branch off to their friends and it continue to spread through them. What will it take for you to change your habits? In order to fix this issue effecting our environment, you must use multiple tactics. There is no single was to fix this issue and all must participate. The problem is nobody wants to cut back or lower their emissions and not even the government is trying to enforce it. The reason that the governments across the world haven’t done anything on this issue it because the do not want to spend a great amount of money on the issue. Money controls everything in our world and money influences everyone. While we do take small measures like reusing dishes and recycling reusable materials these tactics will only take us so far. In order for us to make our world health better, the governments must step in and take action on fixing this world issue. Will the government step in, or will our Earth turn to a wasteland first? The best way to motivate behavior change for consumers and communities is through changing social behaviors, habits, and attitudes. The video attached to this article has proven that people change their habits the quickest when they see others doing the same. By human nature we are followers, humans like to all be the same, so that they won’t be considered “weird.” The best possible way to change human behavior would be to set examples of what you want to occur with popular figures in the public eye. Once humans see others setting an example they are likely to imitate similar behaviors. What humans say they want to do and what they actually do are often two different things. Just because someone says that they would like to live a more sustainable lifestyle does not mean that they are going to take the proper steps and measures to do so. It is often not until something becomes a social norm that we begin to partake in it. The real question is how long will it tai for humans to change their habits and behaviors? I thought this was really interesting because people do tend to follow other people’s habits. The video I watched also supported that people follow what is popular and their actions reflect social norms. Someone or something has to initiate this change in social norms. I thought maybe some government push would have to initiate the change. Myths of Behavior What You Think You Know That You Don’t. Dir . 20 Mar. 2013. TEDTalks. Web. 20 Mar. 2015. . The video was very interesting, i agree with you. I think that the government should implement certain rules to initiate the change, they should put some kind of role model or public figure in place as well to set an example. Many people in todays world do not respond well when someone says that they can’t do something, especially when the reason is because it will “help save the environment.” This being said the best route to reducing greenhouse gas emissions is to change social behaviors, attitudes, and habits. The most successful way to change peoples behavior is to have famous and well known people set an example by trying to reduce carbon dioxide emissions. If people know that other people do it they will be more likely to do what you are trying to get them to. Although studies show that popular human behavior changes peoples decisions, how long before society changes theres? Chabot Space & Science Center. “What’s the Best Path to a Sustainable Future?” KQED Education. N.p., 17 Mar. 2015. Web. 22 Mar. 2015. We have to change our attitude and habits in order to have a more sustainable tomorrow. Though Government regulation would work, but only to a certain extent. The people might follow the new regulations, but they will only do the bare minimum. The only way we can actually change this by changing our attitude and habits towards it. Like Jodi Cross said in the video, if someone starts doing something, then everybody else starts following along. Though, some might believe putting up posters is enough, to start change, but this is not very affective. Now putting it into action, makes people want to do it and more motivated too. Once it become the social norms the actions will lead to sustainable future. It shown once we change out attitude and behavior is when we will achieve a sustainable future, but how long this transition take? Once it starts to happen, will it happen quickly or slowly? Cummins, Jaz. “Ten Things We Learnt about Behaviour Change and Sustainability.” The Guardian. N.p., 9 Apr. 2014. Web. 23 Mar. 2015. Chabot Space & Science Center. “What’s the Best Path to a Sustainable Future?” KQED Education. N.p., 17 Mar. 2015. Web. 23 Mar. 2015. The only way we are going to change our attitude towards our environment is if we change our values at our core. Despite efforts from government incentives, if we are to change, we have to want to change, and it is evident that monetary compensation has been unsuccessful for so long. However, government action is essential in some aspects. Creating regulations and standards for companies helps the environment, while also informing the public of the positive changes that keep harmful material out of you and your families way. One of the greatest ways to reach people is by appealing to pathos through personal experiences and relation which is similar to what Cross was saying during her lecture. Seeing a model citizen contribute to the cleanliness our of your neighborhood with emphasis on keeping garbage and harmful material out of your families back yard could play a key role in swaying public views on preserving nature and taking care of our environment. Famously, being a strong advocate for helping the planet carries negative connotations throughout the public such as “hippy” or “tree hugger”. But finding a common denominator with your audience is essential, while omitting negative incentives like Cross was saying. Is appealing to pathos a well thought out strategy? Or just another failed environmental add flop? “Saving the Earth: Four Conflicting Campaigns (SSIR).” Saving the Earth: Four Conflicting Campaigns. N.p., n.d. Web. 23 Mar. 2015. Their are many different paths that can be taken in order to assure a sustainable future for this planet, but ultimately the world’s future depends on the society taking advantage of it. People have grown too comfortable taking more than what they need and disregarding what it could mean for their own future. Telling people about the problem isn’t enough. There are reminders all around us for what we should be doing, but is this really effective? According to Jeni Cross and the current state of things, it is not. Telling the world about the problem will solve nothing. Someone has to take the initiative to be the first to stop talking and start walking (aka sustaining). Sustaining resources and energy requires the implementation of new, environmentally healthy trends. When people see others taking action and really caring, they realize just how important it should be for them to take care of their earth and will follow suit with their own action. What will it take for you to stop talking and start acting? The most effective way to create a sustainable future is to change habits and attitudes. Sure laws can be forced upon people but to have the change that is needed, the attitudes and habits of the people need to change. There has to be concern for the environment and a want to save it and preserve it. Once this happens people will willfully change their habits for the good of the environment. One way people can start being more environmentally friendly is changing the environment. For example, get recycling bins to put around the house so you can easily put it in recycling when you are done. Go for the people, not the laws. Will people realize the harm we are causing to the environment before it is too late? “The Best Way to Change Your Habits? Control Your Environment.” Sparring Mind RSS. N.p., 13 Nov. 2013. Web. 23 Mar. 2015. The best way to make a sustainable future is to make people care about the problem. The first thing to know is that behavior does NOT always change attitude. Cross was mistaken by assuming that the overall amount of people will do whatever they see in a magazine. Peer pressure may work on teenagers, but does not influence what people do in their everyday lives. As many people such as sociologists and marketers believe, that behavior changes attitude. Just because I go to school everyday, doesn’t mean I enjoy it. Although this example is true among many people, it is not true in all cases. As and “Encouraging Environmental Change” article states: “We have learnt that marketing and market research can be powerful forces for behavior change. Many of our brands have run campaigns to raise awareness and encourage changes in behaviors.” As it is wrong for me to say that is Cross was completely wrong in all situations is incorrect, it is also incorrect for Cross to state that picture B is more influential than picture A to everyone who views it. Although making an effective change is to per sway the masses, the masses are the ones who are followers and who won’t stand up to make a change on their own. Our best bet is to change the attitudes of those who will lead and change the behavior of others. Is it right for me to prove Cross wrong? People are lazy. They would rather do what is easy for them, rather than what is best for the environment. For us to create a sustainable future we have to make it easier for people to do things that benefit the earth than it is to do things that harm it. An excellent example of this is Energy Star appliances, because they are widely available and priced competitively with non-energy star appliances they are very common in people’s homes. If consumers were forced to go out to a specially store, or find they only online, they would undoubtedly be far less common. I think the only way to do this is through government regulation and subsidies being given to eco-friendly companies. If the government provides subsidies to companies to make environmentally friendly options cheaper, as the article suggested they are able to do, these environmentally friendly options will become more widely available and people wont have to seek out the pro-environmentally option or pay more for it. When this happens people will start to use the “green” option more and more just because they are able to do it without having to put forth extra effort. When will the government realize that for there to be a change they must step in? Bruton, Neel. “The Psychology of Laziness.” Psychology Today. 25 Oct. 2014. Web. 25 Mar. 2015. . I honestly did not think about it like that… You are absolutely correct. Not only are we a creature of habit, but we also take the easy way out of a lot of things. People often try to do the easy thing whether or not its better for us. An example is fast food, we all know that it is healthier to make out food, but we continue to eat fast food because its the easy way out. We also are followers and need to become leaders when in comes to our environment. I believe that if we made recycling and being “green” more easy and accessible, then make it a social norm, we could help sustain our future. Fast food is an excellent example, because it is easy to access and cheap that what a lot of people eat. I completely agree with you, making being green a social norm will cause a lot of people, that otherwise might not have participated in it, participate. I do agree with your idea but I don’t think that the government will pass any kind of laws or create subsidies for companies until there is at least some kind of public backing. For the most part the government does what the people want so people’s attitudes need to start changing first. Once this happens the government will be able to create regulations for a more sustainable future. Carbone, Nick. “Top 10 American Protest Movements.” Time. Time Inc., 12 Oct. 2011. Web. 26 Mar. 2015. I can definably see how people attitudes could play a large role in creating change. But I still think that the government could help push those attitudes in the right direction, and speed up the process. I agree with you when you say that people are lazy and that they need a little push to get them to do something. However the government enforcing laws will not get the people up and moving to a sustainable future. It is proven that certain technologies such as seeing someone else be environmentally friendly will change people’s minds faster. “5 Ways to Change Someone’s Mind.” Psychology Today. N.p., n.d. Web. 06 Apr. 2015. . I think that if the government were to make laws regulating sustainability people would have to follow them, and would eventually it would just become the normal thing to do. However if there are other ways to push for sustainability faster, then I’m all for them. We should achieve this through the action of peace, I’m sure that if we can achieve this goal of sustainable future through peace, America will not use violence to achieve it. Who is one to which one just or not? Who has that power? U.S. can’t attack another country just because we think its unjust, if we did that, are we much different from those terrorist, they think we are wrong, and they attack us. We are talking about saving our future, our Earth, you can’t really do that by the use of force and violence. You can’t never achieve such goal through the act of violence, for if there is light, there is darkness. People is the one who created all this mess, and we can’t kill everybody on Earth. The way to achieve a sustainable future is everybody working together, not try to destroy the threats, because you will never destroy all the threats. In my opinion the best way to create a sustainable future is to change people’s habits and attitudes. Yes littering has decline because it’s illegal but people still litter all the time so government regulations won’t really help with the problem. As Jeni Cross from Ted asserted, the best way to get people to do the right thing is through changing their attitudes toward that thing that were trying to change. One way of doing that is by telling those people what they are or what they will loose by filling our environment with filth. Once people realize what they’re loosing they will most likely strive for a change. Today people care more about what they’re losing then what they are ganging. Now of course there’s still going to be those people who will not want to participate because it is “boring, hard or unpleasant to do” and they will put off the task for later. However, like Doc. Halvorson said “your willpower is limited… and you can’t alway relay on it”, so those people could use if then-planning. By using this they can decide how, when and where they want to complete the task and then make them realize what they could loose if they don’t. Is it worth losing what you are loosing because you are not playing your part to conserve the environment? “Three Myths of Behavior Change – What You Think You Know That You Don’t: Jeni Cross at TEDxCSU.” YouTube. TEDx Talks, 30 Mar. 2013. Web. 20 Mar. 2015. “How to Make Yourself Do It When You Just Don’t Want To.” Psychology Today. Heidi Grant Halvorson Ph.D., 24 Feb. 2014. Web. 24 Mar. 2015. I agree that changing people’s habits and attitudes is the most effective way to create a sustainable future. I don’t think that if we show people what they will lose that they will change their habits, because it often takes a jolt of reality to wake people from their cushy lives. Showing and telling them won’t get enough people to react, which is why social norms are a good way to provoke change. I see your point and I agree with you, it does take more than just showing people what they’re loosing to convince them to do the right thing. However, I still think that one way of getting the job done. ghjj I looked at the paycheck which was of $7584 , I be certain …that…my neighbours mother was like realy bringing home money parttime on their laptop. . I think the best way to create a sustainable future is to do both because some people are not going to be able to have education to have better habits or some people really dont care so the government has to do regulations like making pay money to people who are affecting the environment. People need to understand that it is important to not harm the environment they are living in or any other so I think both habits and government need to take role in this. Government regulations, in my opinion is the way to a sustainable future in climate change. People will follow rules/laws easier than others telling them what to do. I see how many people would be against the government telling us what’s better for us and our future, but in reality, it’ll be the fastest way to change minds. When people witness others doing something, they are more likely to follow. Also people are more likely to desire change if they feel like it is their initial idea to begin with. In my opinion, the best way to create a sustainable future in a changing climate is by changing people’s habits and attitudes. If we make individuals see and understand the problems our world is facing through social norms, we will see long term willing changes. Although some may say government regulations and laws are easier and quicker, what will happen when those laws cease? And, what if some people refuse to follow those laws? Change starts within each individual. In my opinion the best way to create a sustainable future is by changing peoples habits and attitudes, Like Jeni Cross was explaining that most people will respond with social norms and knowing other people are doing it. Using the government wont really help because some people are against anyone in law and anything they say so they wont agree with anything they are trying to do and will probably do anything to go against it. I think we should change our habits because its our fault that the world is enduring these hardships. For example: A scientist at NASA has come to the conclusion that California only has a years worth of water left. People need to stop watering their lawns and conserve the water for themselves and others who have none. Water restrictions are being enforce more and more nowadays. There’s also the matter of factory businesses. They only care about the money being made even if the the world becomes a not livable planet. I think we should care more about ourselves and the environment and put our industry aside and instead develop better ways of creating energy such as solar and wind power. The best way I believe to create a sustainable future is to change peoples attitudes and habits. If one person can impact multiple people and those people change then they can impact even more people and a chain will be created. People in a small town of Samso have completely change to all electric power and seed oils to run there car and power there home. Even with all there doubters they had accomplished this under 10 years. This is important to change our habits because this is our plant and we have to make it last as long as we can to survive. personally thought that maybe if the government was to “scare” us into making a change maybe we’d do it but then i realized they’ve been doing that for years. After watching the video I learned and realized that behavior follows attitudes, and its true. For example if you were to see someone liter you’d probably do it too because you think “oh well everyone does it” and even though its not the way it should be, unfortunately it is but hey i mean at least it’s helping to make a change. So if we see someone recycle maybe we’ll do it too. In the end it just comes down to influence, the reality of it is we don’t need the goverment to tell us to do a simple habit we should just do anyway because its common sense, because no one makes you do anything so i personally beleive now that we should definitely change through our own habits. One thing I think that will help people change their habits is to see themselves what is happening to the environment. By letting them connect the dots, they can notice what is happening in their lives that is hurting the environment and change. The best way to create a sustainable future in a changing climate is through government regulation. Changing people’s habits would be very difficult. Also, not everyone is interested in becoming more sustainable, less wasteful, and more efficient, but government regulations would ensure that everyone takes interest and gets involved. We should all care because we need to be aware of the consequences that our actions have on our planet. As someone who ares about the world I personally think side with the government taking responsibility and making regulations that make it so people do not hurt this planet more than it is already damaged. At the same time i still think that while the government it making regulations people should still try and motivate and change peoples habits and attitudes towards how people treat the enviroment. In my opinion, Government Regulation would be more effective on peoples attitude towards the conflict with the environment. The government has the ability to add restrictions to companies in order for them to make environmental friendly options cheaper and affordable. People will listen to the government more, and it’ll be easier for them to follow the rules/ laws to keep the environment healthy. I think you have a very good point for Government Regulation. Government regulation does depend on a lot of factors too. Some of the factors are do most people agree or even which parties in power. Government Regulation I believe would be taken seriously because we are in a nation like America with strict law enforcement. There will need peoples help though as well but I believe your point is coming from a sort of combined view with more regulation. “WHEN DOES REGULATION WORK?.” http://insights.som.yale.edu. Yale School of Management , Feb. 2014. Web. 8 Apr. 2015. . I think the best way to create a sustainable future is by changing our habits. We are ruining the environment and we don’t even know it. This world is not built to last forever, so we should change our behaviors to make our world last as long as possible. We should all start off by saving water – shorter showers, stopping running faucets, etc. We should care about what is happening in our environment. While this would be nice, this is not how the human brain works… especially without strict government regulations. If the governments do not step in to help save our world, then all the minimal conserving that an individual could do would still not be enough. I agree you that it would be a good idea but the people don’t think that way. The government is so strict that it would not think twice on helping the environment unless it was going to help the government itself. I agree that the most effective way to creating a safer environment for our future is to change the attitudes and habits of people. But we must create a solution to accomplish this task. The easiest way is to make it a social norm because thats what people respond to the most. The government should enforce a law to change peoples behavior towards our environment because the climate is changing and pollution is rising. The people of the island of Samso don’t have any oil but still live normal lives. The best way to create a sustainable future is by government regulation. People will never completely change their ways unless they have to. I disagree with you because there’s always going to be people who litter. There’s regulations about that right now and people still litter. Enforcing regulations won’t help because no matter how much we enforce them people will still break the rules. “Rules are meant to be broken” at least that’s what people have always said. In order to strive for a better future we need to change people’s habits and attitudes. “Save the Oceans From Pollution and Beach Litter!” Rodale News. EMILY MAIN, 17 Sept. 2009. Web. 08 Apr. 2015. I think that it is a good thing, I am pro. This will limit land fill and this could actually change peoples perspectives on this subject. I care because I dont want to loose all of the water in the world and make the amount drop. I think the best way to create a sustainable future in a changing climate is to try to change peoples habits and attitudes. Peoples habits have a large impact on resources and waste production. Forcing people to do something they don’t want to do won’t work because people will try to rebel and over throw the people in charge. I agree, it’s not about constructing rules to be followed, rules and laws are allows being broken. We need something more dependable than that, we need to change people’s attitudes towards this issue so that they will conserve resources, not because they’re supposed to, but because they want to. I think that the best way to create a sustainable future is by government regulation because changing people’s habits is just too hard. For example, even though people know that using paper towels is bad for the environment, they still use them because they prefer them. People will do what they want even if they know its a bad thing to do. That’s why the government has to make and enforce rules that will ration resources. I completely agree, just because people know that something is bad doesn’t stop them from doing it. We as people do whatever is convenient for us, the government is going to need to take action if they want any kind of sustainable future. In fact the EPA is currently working on ways to get the government and people involved in saving our environment. “What EPA Is Doing.” EPA. Environmental Protection Agency, n.d. Web. 07 Apr. 2015. Yes, I believe improving peoples habits are the first step to positive climate change, but when we need serious climate change government regulations may be what we need. But, the most important being the peoples contributions. Changing people’s attitudes and behavior is the best course of action because through doing so in the Island of Samso, the island has become Carbon Neutral in less than a decade. Renewable Energy is the way of the future because we will eventually deplete our natural resources if we continue our ways of non-renewable resource consumption. I definitely agree with what you’re saying and your example did a great job of proving your point, as well as the points that many other commenters are making; that attitudes must be changed in order to make a difference. But I think the real problem or obstacle is how? How do we change people attitudes and behaviors to be geared towards environmentally friendly measures? People do not understand how serious the issue is until legal action is taken. If there are consequences got people’s actions, they are more likely to listen. I strongly disagree with your statement. I believe that the only way people will change is through a shift in attitude and behavior, rather than governmental action. By making regulations on a lifestyle of a people, it is extremely likely that there will be a revolt. I agree mr.henderson. That is a very apt application of knowledge and assessment of the article. Changing the habits and daily American life in order to see noticeable change in the nearby future. The Galaxy Explorers at Chabot Space & Science Center are a group of youth volunteers who educate, explore, and share science with the public through interactive demos, special projects, and community partnerships.